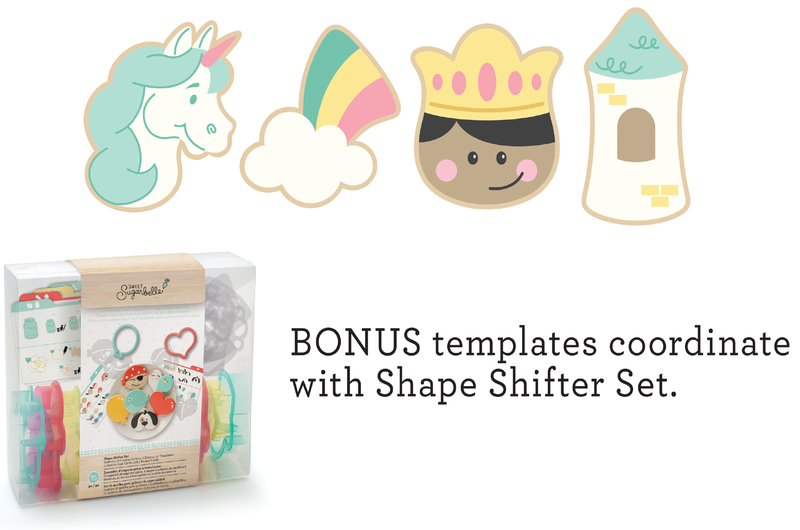 This Enchanted Cookie Cutter Set is sure to add magic and whimsy to your next cookie set! The possibilities for this set are truly endless, so go ahead and make some magic and the two BONUS templates that coordinate with the shape shifter set. This mythical set is sure to delight kids & adults of all ages!